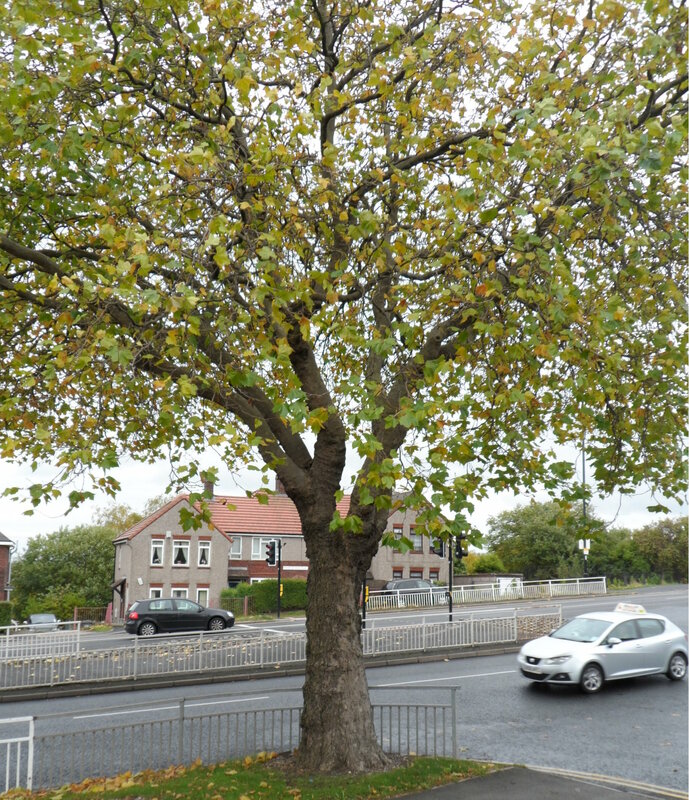 You may be aware that many residents across the city are currently battling Amey and the Council to stop their roadside trees from being felled. Read more about it here. In Manor Castle Ward work on the Streets Ahead project is already well underway. Find the latest news from the Council here. You can download a list of the trees selected for felling on this page on the Council website. In Manor Castle one of the most important roads for street trees is Prince of Wales Road. These trees provide vital services for the local residents. They protect residents and school pupils from the noise pollution of the heavy traffic. They absorb pollution from the cars in an area where the air quality is very poor. They soak up rainwater, reducing the risk of flash flooding. They give shade in hot summers. They are an important visual amenity. They are an important habitat for birds and wildlife. Walking along the road last weekend it was apparant that many of these trees could be argued to be “disrupting the pavement or the kerb”. Such trees in other parts of the city have been felled, even if there is only slight disturbance to the pavement. 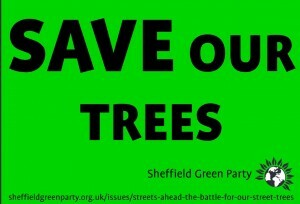 We may need to mount a campaign to protect these trees if Sheffield Trees Action Group are not soon successful in changing the Council policy. Here is a pdf with pictures and locations of the trees. Please print off a poster and put it in your window.